The United States is the most opportunistic haven for women and minority-owned businesses. It was the country’s openness to said business types that propelled a woman to start, in 1988, a construction trade business specializing in overhead electrical transmission, underground transmission of electric and natural gas, and emergency storm response. Currently, this business is known as one of the best in America. Intren was founded by Loretta Rosenmayer in her garage with four initial employees. Now, the business has over 1,350 employees, serves clients nationwide, and continues to expand its services. Intren originated in Illinois, just outside of Chicago, but has opened offices on the East Coast to expand its client base and acquire available small MBE/WBE firms specializing in electric and gas transmission and distribution disciplines in the Mid-Atlantic and Philadelphia areas. Successions and acquisitions within the MBE/WBE trade communities are rare because most owners are first-time entrepreneurs, but Intren is a well-seasoned firm and realizes growth through scaling internally and externally by purchasing existing successful businesses. “Intren is the new model for diverse suppliers to emulate. They recruit company leadership from successful and experienced corporate backgrounds. They deliver on their core capabilities and treat their employees fairly. They constantly plan for their future and illuminate that vision throughout the company. They are also well capitalized with current assets and institutional financing. 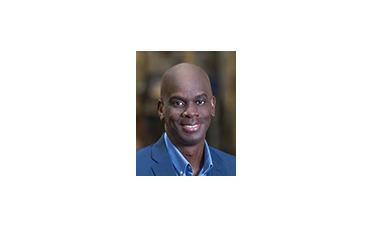 Finally, they practice safe operations to ensure that their employees return home safely each day,” said Wayne R. Frazier, Sr., President of Md. 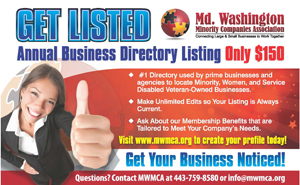 Washington Minority Companies Association (MWMCA). Therefore, if you are an owner of a firm specializing in the transmission and/or distribution of high voltage electric and natural gas, and looking for an exit, please consider contacting Keith Garvey, Regional Vice President of Business Development, East Coast, at Intren about your business availability. Futhermore, if you are public energy utility company looking to expand your fleet of quality tier one vendors, please give Keith Garvey a call too.